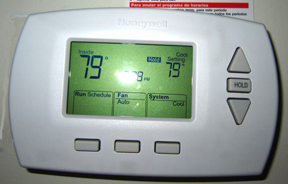 A thermostat that allows homeowners to set the temperature at different levels at different times of day. For example, in winter, it could be set to be colder while occupants sleep and warmer as occupants awaken. See Electric Thermostat Timer.